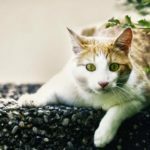 In this article, you are going to learn what cat pheromones are, how they work naturally, and how you can use a synthetic derivative of feline pheromones to comfort your cat. Let’s start by explaining what pheromones are, in general. Many pet owners who first hear about cat pheromones may wonder if they are drugs. No, they are not drugs; their mechanism of action is as natural as possible. A correct definition would be that pheromones are a chemical substance that animals (including humans) release in an environment to affect the behavior of individuals of the same species. That is, human pheromones affect humans, cat pheromones affect cats, and bee pheromones affect bees. Most animals have them, and they may serve different purposes, such as sexual, territorial, aggregational, signalment, and others. For example, when Pooh Bear tries to reach for the honey, all of the bees suddenly attack him. This is because the bees suspect that Pooh is not a rain cloud, and they release a pheromone meant to signal an alarming purposes; suddenly, all the other bees are aware of the intruder. How do cats use pheromones? So much about pheromones in general. But what about cats specifically? Cats have pheromone-producing glands in several parts of their bodies. The most significant ones are on their cheeks and chin, on their paw pads, and in the perianal area. Pheromones produced by the perianal area, for example, are used for marking territory, signaling when looking for a mate. Sometimes the message being sent is aggressive, and sometimes it is not. Also very important to cats are the pheromones produced by glands on their paw pads. 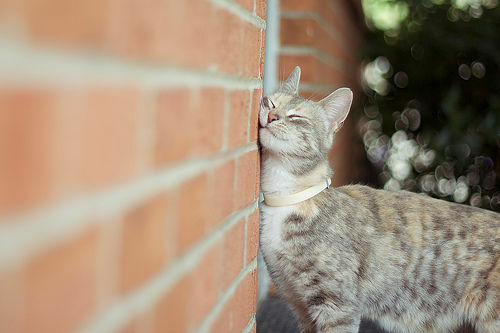 As cats scratch surfaces, they not only leave visible markings, but they also leave a scent which, for a while, tells other cats who was there, how long ago, and, likely, what their mood and intentions were. Scary? Not so much. Now we get to the more important area of pheromones used by cats. Those are ones produced by glands at their cheeks and are released by rubbing against something, or someone. Cats use these pheromones for two reasons: to greet other cats and show them that they are in a friendly mood, and to scent mark familiar objects. How can you use a synthetic derivative of feline pheromones to modify your cat’s behavior? It’s the sentence above (“It’s safe being near it”) that makes it possible to modify your cat’s behavior through the use of synthetic feline pheromones. Scientists have discovered that the “safe” and “friendly” associations are caused by one fraction of the pheromones produced by cats’ glands at their cheeks, and they have created an almost identical copy of those pheromones for use as a calming substance administered by way of sprays, diffusers, and collars. Use your imagination in applying these synthetic pheromones. If an object causes stress to your cat, you can spray the object with feline pheromones to send your cat the message that “This place is safe.” How can it not be safe if some other cat has marked this object as being so? Although your cat likely does not recognize the pheromones as coming from a “synthetic cat,” his brain will understand that it’s okay to be calm. New home introductions. When a cat comes to his new home, his stress is extremely high. Create a separate room for him so his experiences are not overwhelming, and plug in a pheromone diffuser. In this case, the whole room will be filled with cat-friendly pheromones. Creating a stress-free area. When stressful situations aren’t avoidable, such as repairing a room, or worse (from your cat’s point of view), bringing a baby home, you can create an area for your cat where he can feel safe. Decide which room(s) will be less stressful for your cat to be in, and plug in a diffuser in those rooms. This way, your cat will be more relaxed and will not suffer as much stress. Of course, you should also try to lessen your cat’s stress as much as possible. Inter-cat aggression. If your cats at home do not get along well, it is important to calm the aggressive cat and build up confidence in the pariah cat. It is also important to keep in mind that cat pheromones are not a magic wand; they are an additional tool to use in conjunction with other methods. 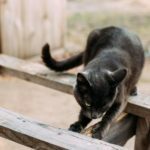 One common way to address inter-cat aggression is to start over. Separate the cats and introduce them as if they have never met before. Car carrier usage. This is the object cats are afraid of the most. Although just applying pheromones will not be enough to change your cat’s mind completely, doing so is a great addition to all the other things you can do to make your cat love his pet carrier. New object introductions, such as furniture. When you bring something new into your household, it’s not always appreciated by your cat, even if it is something that should enrich your cat’s life, such as a cat tree. In this case, spraying the newly acquired item with pheromones makes your cat understand there should be no stress about it. Remember, synthetic feline pheromones are not a magic wand that solves all of your problems. 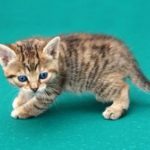 They must be used in addition to other forms of behavior modification, such as playing, training, enriching your cat’s environment, and spending more time with your pet in general. If you consider feline pheromones as the only cure for your cat, you will be disappointed.